Approximately every two years I attend a conference in Boston that falls the week after Thanksgiving—the Fall MRS meeting, where unfortunately MRS stands for Materials Research Society rather than Maibocks, Rauchbiers and Stouts. Between this conference and other work related travel I’ve probably been to Boston 9-10 times, but in all those trips I’ve never taken the opportunity to explore the local craft beer scene. This time I vowed it would be different and I’m happy to report that I was able to realize that rather modest goal. In part 1 of this post I will describe some of the local breweries and the beers that they make. In part 2 I will talk about my experiences finding bars and bottle shops where you can get good beer. Full reviews can be found in the beer reviews section for several beers described below. Click on the name to see the review. Clicking on the name of the brewery will take you to the breweries website. If you are interested in the most up to date information about tours, tap room hours, beers and distribution, this would be your best source of information. Check out a beer map of Boston from the Beer Mapping Project. This is a cool interactive site that allows you to navigate a map of the Boston area and see where breweries, brew pubs, beer stores are located. Hint: Initially the map will be covered in dots, click on the homebrewing store, beer store and beer bar icons in the legend to remove all of the locations except breweries and brewpubs to simplify things and find the locations of places I talk about below. 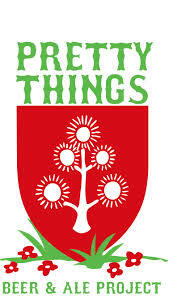 Pretty Things Beer and Ale Project – Pretty Things is actually brewers Dann and Martha Paquette, who are tenant brewers, meaning that they rent space in other breweries to brew their beers (this approach is also called gypsy brewing). I’ve read some good things about them and the attendant at the bottle shop (Urban Grape) recommended them highly. I brought back one bottle from this brewery, an English-style Nut Brown Ale called Saint Botolph’s Town that was delicious. See my review for a full description. Their flagship beer is a Saison made with American hops called Jack D’Or. There wasn’t enough room in my suitcase for this one, but I wish I would have made space for it and bumped out something else. Obviously there is no tap room or brewery to visit. (Editors Note: I just heard a radio piece on the new American Trappist Brewery, Spencer, and it turns out that Dann Paquette of Pretty Things is also the advisor to the monks who do the brewing at Spencer). 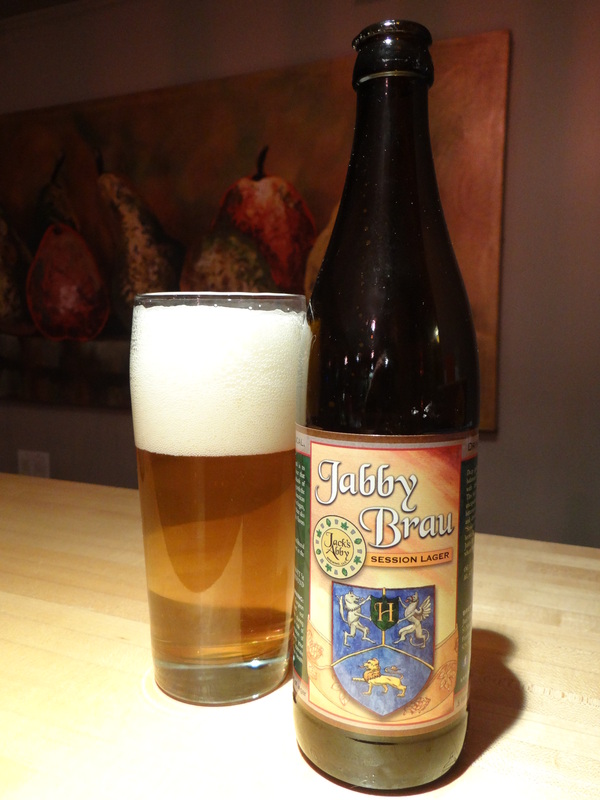 Jack’s Abby – Located in Framingham, west of Boston, this brewery which first began operations in 2011 have created a niche for themselves by specializing in lagers, many (but not all) of them quite hoppy. I brought back bottles of Jabby Brau, described as a Session Lager (4.5% abv, 20 IBU), and Kiwi Rising, a Double India Pale Lager (8.5% abv, 105 IBU) made with massive quantities of New Zealand hops. Full reviews of both beers can be found in Beer Reviews section. In retrospect, I wish I would have tried their Hoponius Union, which gets a lot of love on beer review sites, that one is still on my list. Trillium – This is new brewery located not too far from the Harpoon Brewery in South Boston. I was able to try one Trillium beer while dining at a fantastic beer bar, Lord Hobo (more on this in the next post). Trillium Valley Triticale is a Saison made with a rye-wheat hybrid malt. The name reminds me of quadrotriticale, the grain that the Tribbles ate in Star Trek’s “The Trouble with Tribbles”, I assume that is intentional. It has an earthy hop character, is mildly fruity, with hints of honey, and a reasonably dry finish. Their Fort Point Pale Ale is currently rated as the 29th best beer in the Northeast on the BeerAdvocate website. In the latest issue of Draft magazine Trillium was #1 on the list of the best breweries that opened across the country in 2013. At the time of my visit Trillium beers were only available on tap, but I see that just before Christmas they started bottling. I would look for the profile of this brewery to rise in coming years. Harpoon – Founded in 1986 this is one of oldest Boston based breweries and since their beers are widely distributed (at least to Ohio) many of you are probably already familiar with Harpoon beers. They have a taproom at the Boston Airport (in terminal A) so if you have time to kill before your flight, like I did, it’s not a bad option. It was pretty crowded when I arrived so I had to wait 10-15 minutes to get a seat, but then later it really emptied out so your experience depends on your timing. I had a pint each of their Winter Warmer and IPA. Both were perfectly acceptable, but not worth seeking out in my opinion. The same description could be applied to the food. My friend Tom tells me that the tours of the brewery (located in the Seaport district in South Boston) are a lot of fun. Maine Beer Company – This one is a bit of an outlier, because as the name suggests this brewery is located in Freeport, Maine rather than Boston, and technically should not be on this list. I include them because they are a New England brewery that makes great beer not available in Ohio, but widely available in Boston. Their beers are recognizable by the simple, but classy, white labels and distinctive 17 oz bottles. I brought back two MBC beers, a hoppy amber ale called Zoe, and a Stout called Mean Old Tom, which is a tasty brew with a lot of dark chocolate and coffee flavors from the rich malts. 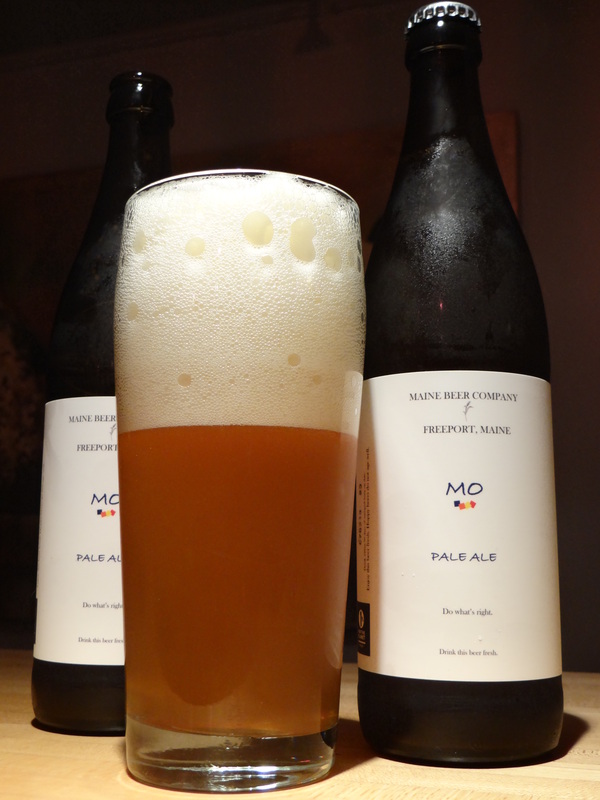 You can find a review of Zoe along with a review I posted earlier in the year on their Pale Ale, Mo. Their IPA, Lunch, is currently ranked as the 11th best American IPA on BeerAdvocate. I was keeping an eye out for this beer, but did not come across it during my travels. MBC beers are a must try if you are in New England. Other Boston breweries that I was not able to try include Boston Beer Works, a brewpub with locations near Fenway Park, on Canal Street, and in the Airport (Terminal C); Spencer, the newest and only American Trappist Brewery, located 60 miles west of Boston their “single” trappist ale just went on sale in Massachussets; Mystic Brewing and Night Shift brewing both located just north of Boston; and John Harvard’s Brewery and Ale House, located in Cambridge near Harvard Square. Well that wraps up my survey of breweries and beers in the Boston area. 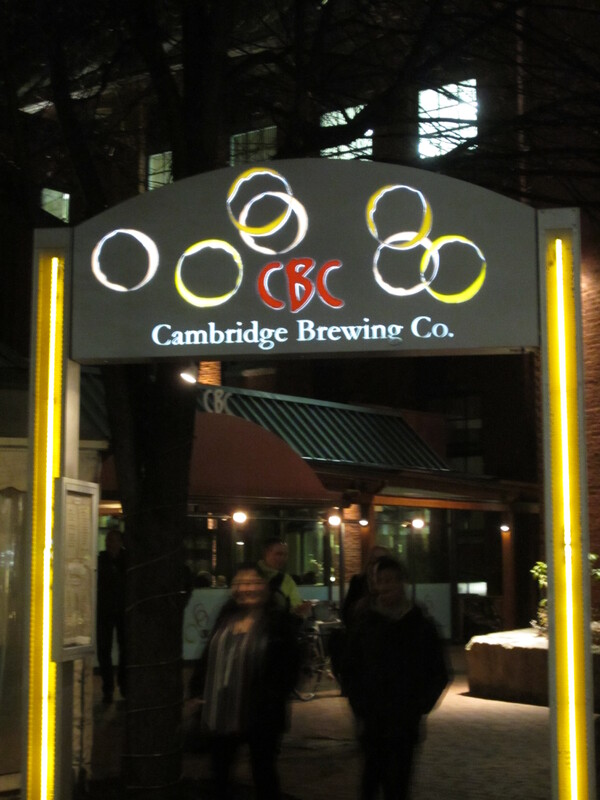 Come back for the next post if you want to learn where you can find good beer while visiting Boston, written from the perspective of someone staying in the Back Bay with no access to a car.